Many birds have more than one brood during the breeding season. Robins usually have 2 broods. The fledglings leave the nest and are cared for by the male for around 3 weeks, whilst the female prepares for nesting once more. 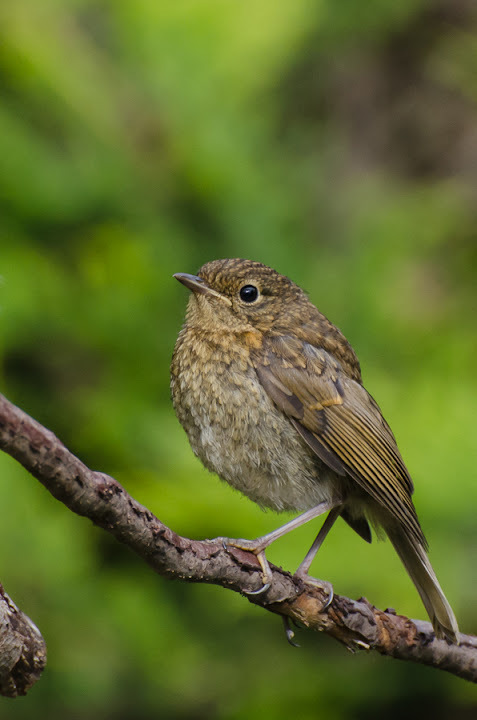 Fledged robins possess an all over mottled brown colour. After two or three months the birds grow some orange feathers under its chin which gradually spreads to complete red breast appearance.